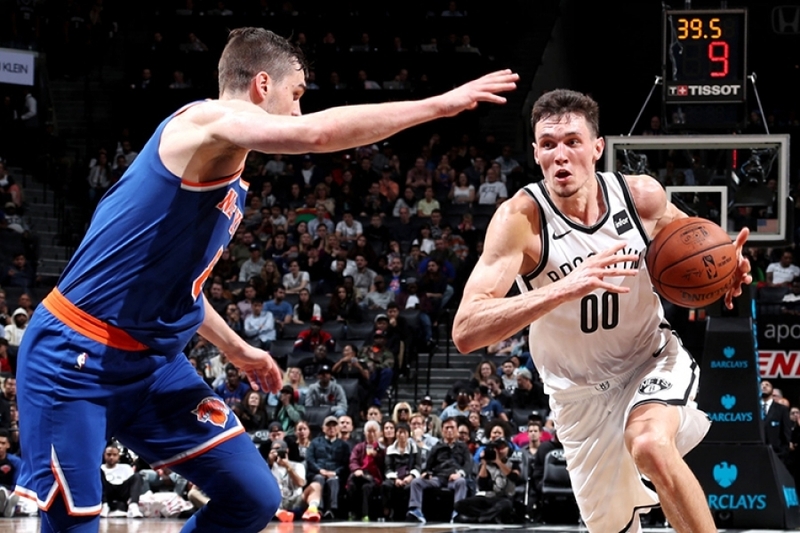 For the second time during this preseason, the Brooklyn Nets have defeated the New York Knicks, and this time, at home at the Barclays Center on a Sunday evening. Yes, it is preseason, but for Nets fans a defeat of 117-83, sure looks good. Nets scoring was also music to the ears of Nets fans as it quieted Knicks fans in the arena each time the Nets put up more points on the scoreboard. But, let’s be real here. The odds were in the Nets favor. Since the Nets landed in Brooklyn in 2012, the Brooklyn Nets regular season win record against the New York Knicks is 13 - 6. 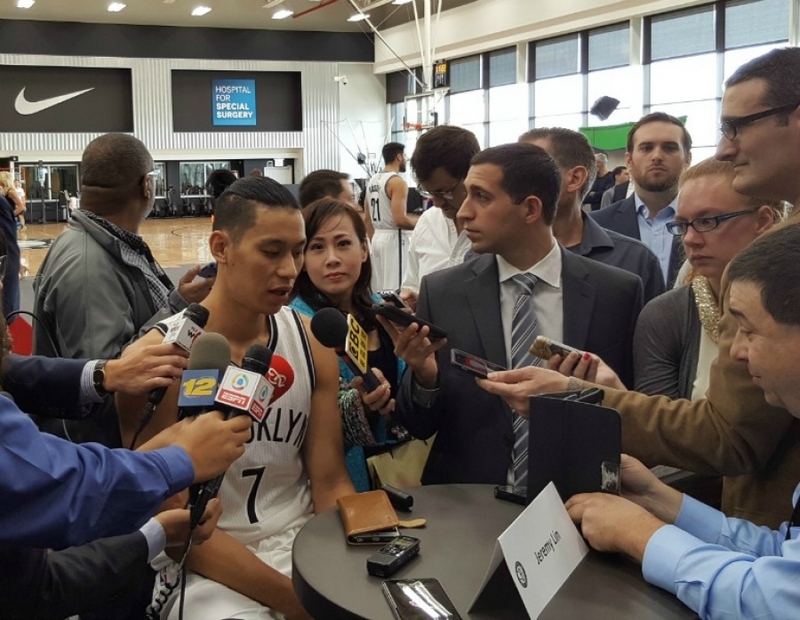 Brooklyn Nets guard Jeremy Lin advised reporters to remember that although the Nets are playing as a cohesive unit and winning, which is a good thing, it is still preseason. In the postgame presser, Lin discussed the Nets camaraderie and how players' unselfishness has helped the team's overall effort. 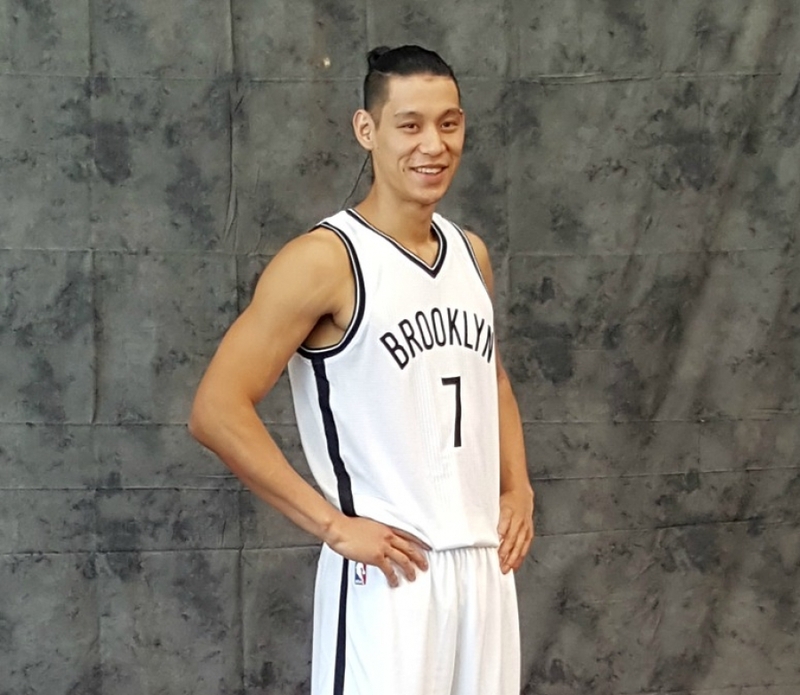 Lin heaped praise on new teammate Allen Crabbe for scoring an impressive 11 points in six minutes. 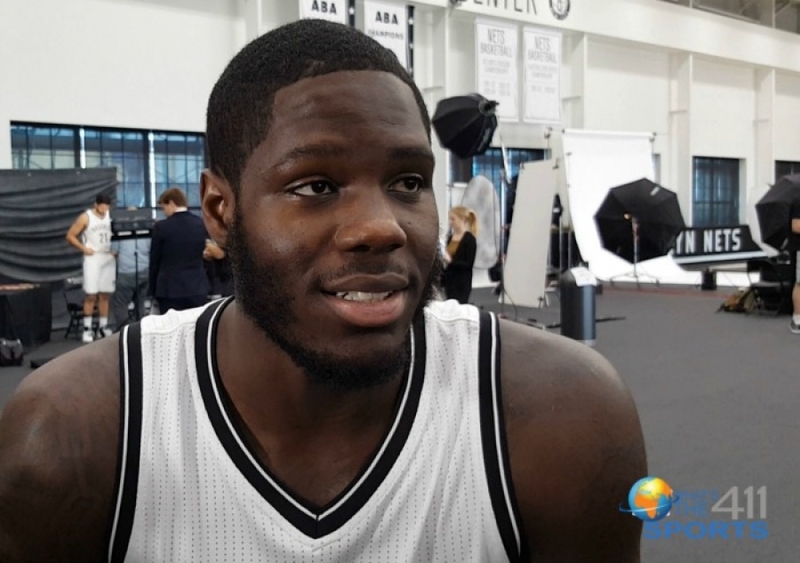 He also had good words for D'Angelo Russell and Caris LeVert with whom he spent a lot of time with over the past summer. Lin expects the Nets will make an improvement over last season because of the new additions to the team, younger players improved game, and unselfishness. Nets head coach Kenny Atkinson liked what he saw from his team tonight. And, what about Allen Crabbe? D’Angelo Russell led all Nets scorers with 16 points and he credits the Nets scoring with playing as a team. Other Nets scorers in double digits were Crabbe with 14 points, DeMarre Carroll and LeVert each had 12 points, Timofey Mozgov added 11 points, and Trevor Booker chipped in 10 points. Rondae Hollis-Jefferson and Quincy Acy each had a total of 8 rebounds. Assist leaders for the Nets were Russell and Lin. Knicks leaders included Willy Hernangomez, who led all scorers with 17 points and 11 rebounds. Tim Hardaway Jr. had 13 points, and Ramon Sessions scored 12 points and five assists. New York Knicks head coach Jeff Hornacek obviously was not happy with his team’s effort. Next up, the Brooklyn Nets play the Philadelphia 76ers at Nassau Coliseum. The Brooklyn Nets are back and Thursday night was the Nets’ first preseason home game for the NBA’s 2017-18 season. Playing the Miami Heat in front of a decent size crowd at the Barclays Center, the Nets showed its hometown fans that they are attempting to live up to its marketing slogan, #WeGoHard, as it crushed the Miami Heat 107-88. And, for the answer to the question many Nets observers have been waiting for…how well will Jeremy Lin and D’Angelo Russell play on the court? So far, it looks pretty well. There were no obvious displays of ball hogging and side-eye looks. Lin, who had three fouls in the first quarter, scored 16 points on 5-of-7 shooting; while Russell struggled a bit only putting up nine points on 4-of-12 shooting with four turnovers. In addition to Lin, other double-digit scorers included Sean Kilpatrick with 14 points, and Rondae Hollis-Jefferson and Joe Harris chipped in 10 each. Spencer Dinwiddie had a team-high six assists. The Nets are still pushing the three-pointer, nailing 10-of-30 from behind the arc; even Timofey Mozgov hit a three-pointer and Quincy Acy, moving with the fast tempo offense, scored back-to-back threes in the first quarter. 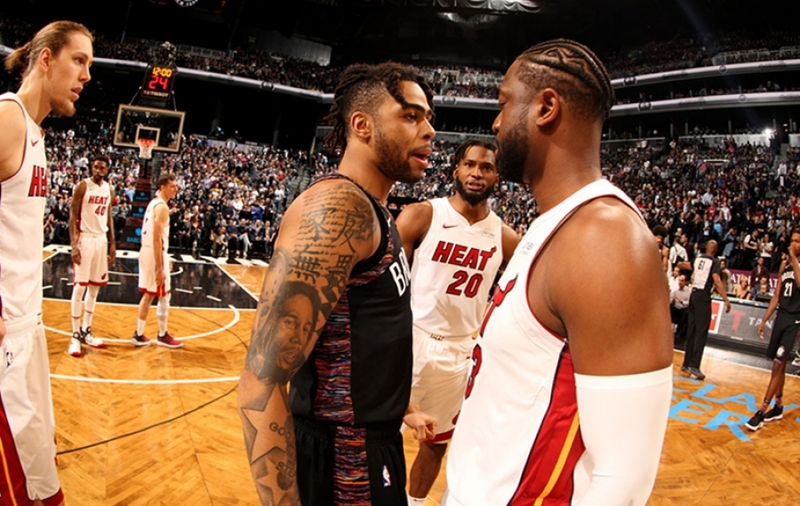 Defensively, judging by tonight’s game, the Nets look like they are moving in a positive direction, scoring 27 points off turnovers and out-rebounding the Heat, 62-37. 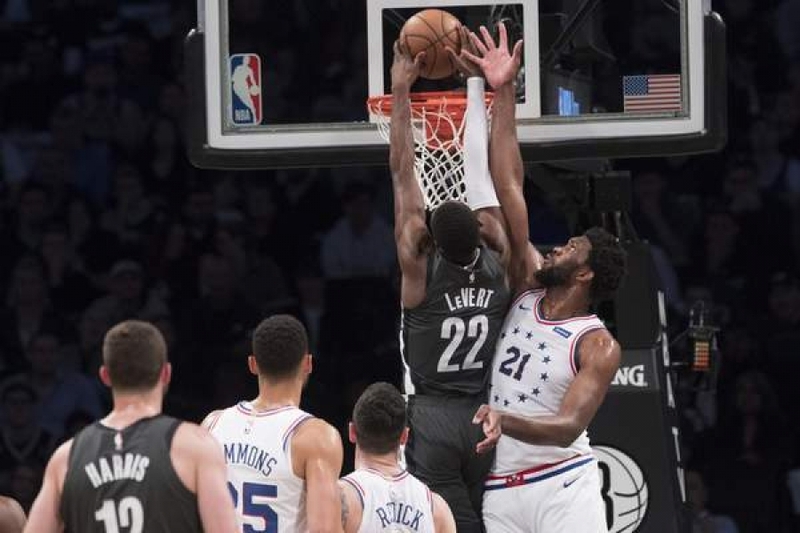 Hollis-Jefferson, DeMarre Carroll, Mozgov and Trevor Booker each had eight rebounds or just over 51 percent of the Nets’ rebounds. The referees thought Booker was taking the #WeGoHard a little bit too literally and so, Booker was called for a Flagrant 1 foul in the first quarter. Jarrett Allen, a rookie from the University Texas that the Nets picked up at No. 22 in the first round of this year’s NBA Draft, made his NBA debut grabbing five rebounds and a block heard around the arena. There were a lot of things to like about the Nets tonight, here’s to pushing the envelope for the rest of the season. The next home preseason game for the Nets is on Sunday, October 8, 2017, at 6:30 p.m. against the New York Knicks. Speaking of calls, it looks like the NBA is cracking down on traveling, as the referees made a number of traveling calls tonight. On NBA Draft night with the number 22 pick in the first round, the Brooklyn Nets chose Jarrette Allen, but prior to the draft they acquired D'Angelo Russell and Timofey Mozgov from the Lakers in exchange for Brook Lopez and a first round draft pick. Russell attended NBA Summer League and like a good teammate, he cheered on the Nets. Reportedly, Russell stayed and watched the Lakers play. The question among reporters that cover the Nets is will D’Angelo Russell benefit from the Nets development culture. Jeremy Lin said he's very excited about having Russell playing in the backcourt with him, according to Nets general manager Sean Marks. Nets head coach Kenny Atkinson is known for developing guards, so the expectations that D’Angelo Russell will assimilate in Brooklyn is very high. NBA Draft night 2017 is over and the picks are in. Listen in on the Brooklyn Nets press conference as the team introduces its NBA Draft pick, Jarrett Allen. The Brooklyn Nets selected Jarrett Allen from the University of Texas at Austin in the first round at No. 22, and on the very next day, June 23, 2017, the Nets held a press conference to introduce its draft selection to the New York media. 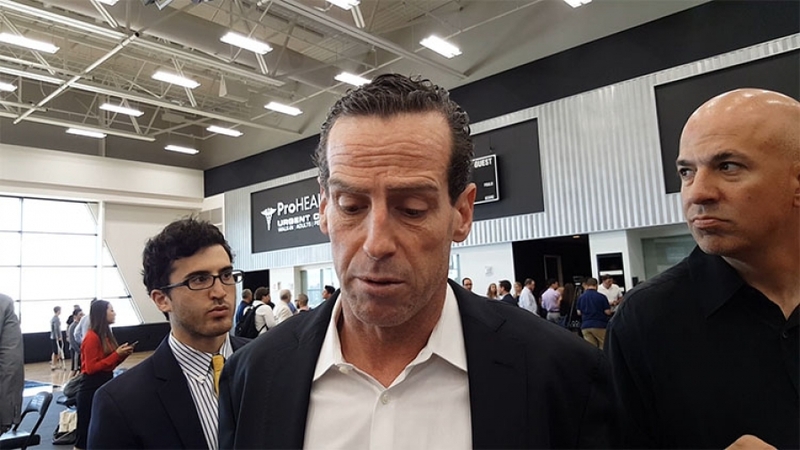 Sean Marks, Brooklyn Nets general manager, and Brooklyn Nets head coach Kenny Atkinson agreed after the NBA Draft that the Nets will need time to develop Allen. Even Allen is clear that he is a work in progress, particularly the need to strengthen his body. In addition to developmental work, Allen admitted that he needs to adjust to New York City since he comes from a more suburban environment. The Brooklyn Nets is a very young team, and Sean and Kenny will look to Jeremy Lin, Trevor Booker, Sean Kilpatrick, and even recent pickup Timofey Mozgov to provide leadership to the younger players both on and off the court. Leading into the draft, speculators had Allen floating in the first round around 12-16, even Sean Marks was surprised that Allen was still available at No. 22. Scouting reports listed Jarrett Allen’s attributes as a good defender, a remarkable 7’5” wingspan to go along with a wide frame, and quick feet and surprising agility. The Brooklyn Nets introduced D'Angelo Russell and Timofey Mozgov to the New York media. 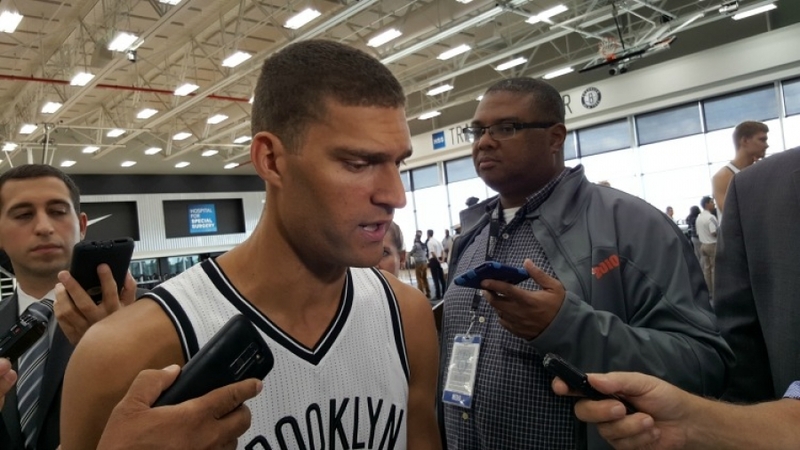 Again, Nets general manager Sean Marks, and head coach Kenny Atkinson prefaced their remarks by giving kudos to Brook Lopez and thanking him for his service to the Brooklyn Nets. The Nets acquired D'Angelo Russell and Timofey Mozgov through a trade with the Los Angeles Lakers in exchange for Brook Lopez and a first round draft pick. The Nets had Boston’s first-round pick (Boston has Brooklyn’s), which gave the Nets a second first round pick at No. 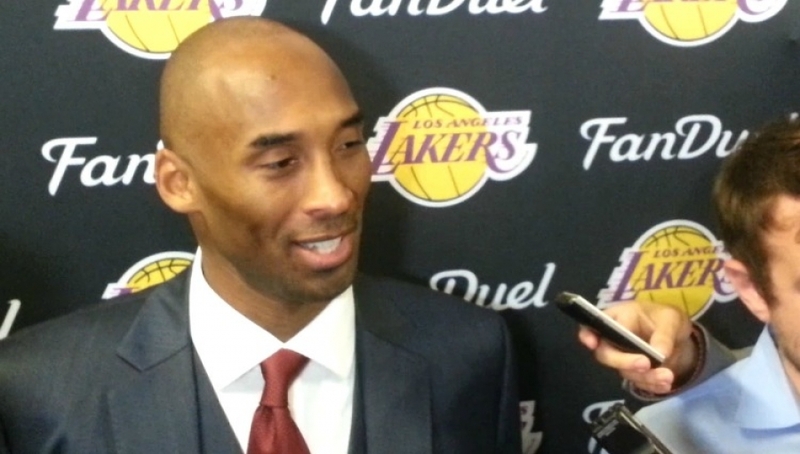 27, which it turned over to the Lakers to complete the deal. Much of the reporters’ questions focused on Russell’s maturity level and will Russell be a good fit within the Nets’ culture. Marks stands firmly behind his decision to acquire Russell and Atkinson believes contrary to public opinion, Mozgov will be motivated to work hard to quiet his critics. Mozgov is one of two Russians to have won an NBA Championship. Mozgov won with the Cleveland Cavaliers in 2016. The Lakers trade of Russell and Mozgov was Magic Johnson’s first big move to make room to bring “show time” back to the Los Angeles Lakers. Russell is a good player, but if Lonzo Ball, who the Lakers drafted in the NBA Draft turns out to be as good a player as his father touts him to be, it will be the beginning of show time in L.A. Acquiring Russell and Mozgov could prove to be better than a draft pick for the Nets, as both players have tremendous upsides. Russell does look at his trade to Nets as an opportunity to hit the reset button and prove the naysayers wrong. Russell wants to be a respected player in the NBA. Mozgov believes that Russell could be an elite player in the NBA because he has the talent, he just has to put in the work. Sean Marks, Brooklyn Nets, General Manager, started his conversation with reporters that cover the Brooklyn Nets with praises for Brook Lopez for his 9-season commitment to the Brooklyn Nets. Lopez should be proud that the Nets front office thought enough of him to preface their player movement briefing by thanking him for his hard work and dedication to the Brooklyn Nets. Many organizations neglect to publicly thank former employees for being an asset to the organization, they just move on as if you never existed. After thanking Lopez, Marks pivoted and answered questions from reporters regarding the Lopez trade for Los Angeles Lakers players D'Angelo Russell and Timofey Mozgov, and the Nets’ NBA Draft night pick Jarrett Allen. The Nets selected Allen in the first round at No. 22. Brooklyn's second draft pick in the first round at No. 27, Kyle Zuma, went to the Lakers to complete the Russell- Mozgov trade. Now, in case you’re wondering how the Nets could have draft picks if the Nets gave away its draft picks to the Boston Celtics through the 2018 season, here’s the answer. The Washington Wizards needed depth and the Nets needed draft picks, so the Nets and the Wizards did a deal. The Wizards traded forward Andrew Nicholson, guard-forward Marcus Thornton, and a 2017 first-round lottery protected pick (#22) to the Nets for shooting guard Bojan Bogdanovic and forward Chris McCullough. The Nets also had Boston’s first-round pick (Boston has Brooklyn’s), which gave the Nets a second first round pick at No. 27. After hosting the Milwaukee Bucks, the Cleveland Cavaliers traveled east to take on the Brooklyn Nets for the second game of a back to back. Coming into tonight’s game, the Cavaliers held a 2-0 record against Brooklyn. If the Nets have their way, the Cavs will fail to go undefeated against them for the season. To start the game, Brooklyn Nets center Brook Lopez set up outside of the post drawing defender Timofey Mozgov from the basket, away from his comfort zone. Setting up Lopez outside of the low post not only removed a shot blocker from the basket but also took advantage of Lopez’s passing ability as his teammates cut to the basket to either score or dish to an open teammate. Mozgov picked up two fouls with a little over six minutes remaining in the first quarter and was replaced by Tristan Thompson. The Cavaliers were able to penetrate the Nets defense scoring 18 points in the paint in the first quarter however, the Nets had the hot hands from beyond the arc shooting just under 56%. In addition to shooting the ball well, the Nets defense forced turnovers which converted to points. However, the Nets didn’t quite have an answer for LeBron James, as he scored with relative ease not missing a shot from the field for a total of fifteen points for the half. Going into the third quarter, the Nets had a ten-point lead over Cleveland and momentum was on their side. Perhaps sensing that his team was in danger, LeBron James continued his scoring dominance by going 13 for 14 for fifteen points in the quarter. Three of James’ points in the quarter came from a bank shot from beyond the arc as the shot clock expired. The Cavs took possession of the lead 83-80 at the end of the quarter. Given LeBron James’ performance in the third quarter, it was quite interesting that James started the final quarter on the bench. Brooklyn took full advantage of James being on the bench as Rondae Hollis-Jefferson quickly scored six points. The Cavs lead was cut to two points which ushered the re-entrance of LeBron James. 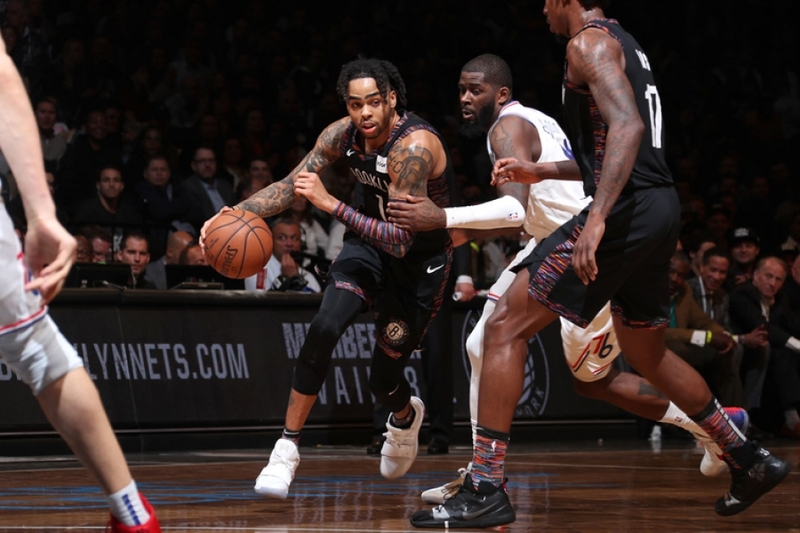 After three outstanding quarters, the Nets held James scoreless in the last quarter while the Nets went on a decisive run that led Brooklyn to victory.